Chris Hallbeck's joke about audiobooks is one of the greatest jokes of all time and I realized this was a variation on that while I was making it. 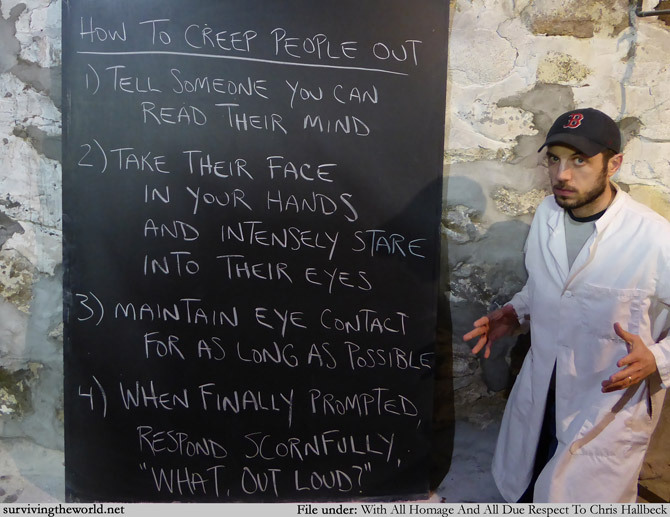 I still think creeping people out is an important aspect of life, but again, mainly in that it serves the purpose of nonharmfully introducing weirdness into the world. I don't think I've always gotten that point across in this series, partly because I was a stupid 25-year-old when I started STW. Anyway, I don't think anyone really needs any unsettling these days but you can still probably find a way to introduce weirdness that people can appreciate.